Well the plane may be long gone, but it appears that the Besler aircraft engine has survived, and may be seen either at the Warner Robins Air Force Museum in Warner Robins, Georgia USA, or at the Savannah Science Museum (from where it was loaned). This came from the Tiny Power website – makers of model and marine steam engines. Tiny Power has now started making scale model replicas of the aircraft engine. Their site has versions of the following two photos. (I’ve tinkered to make them more legible). According to the museum sign, the engine is a three cylinder single-acting radial design, putting out 70HP at 300PSI steam pressure. 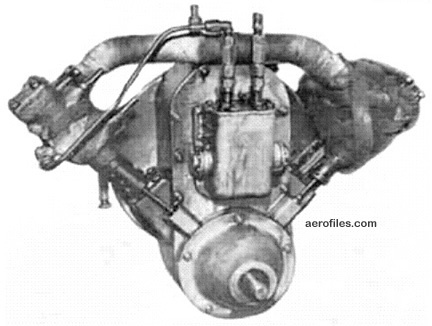 Bore and stroke: 3.125″ x 4.125″, displacing 165.38 inches and the whole unit weighed 100lb including pumps and propellor. I wonder what ever became of the Besler steam powered aircraft that reportedly flew in 1933? The aircraft used a 150 HP V-twin engine and a steam plant designed by Nathan Price, a former employee of the Doble motor company (of the car maker fame). I believe it was designed as a test-bed to prove a concept of a light but powerful steam plant with potential automotive applications. Presumably the aircraft itself was either scrapped during WW2 or perhaps it found its way into a collection somewhere. It would be nice to think this aircraft might have survived somewhere. It was first flown on 12 April 1933 – the aircraft being a Travel Air 2000 biplane. It was reportedly so quiet that at low altitude the pilot could exchange words with people on the ground. And there is some movie footage on YouTube – there is a segment after a demo of the Doble steam car, showing the aircraft taking off, flying and landing. But the challenge continues. Just need to find another 2000 steps a day! Last year when I last replaced my motorcycle drive chain it came with a spring-clip split link – which I have found quite safe for the past thirty years of riding. This time the new chain came with a rivet link. Sure it seemed like a good idea, until I realised that I would require a new $200 tool to fit it. Moreover, I found that very few bike shops sold such a tool. The obvious inference is that replacing a bike chain has now become a specialist job. Of course my bike was already at home, and I don’t have a bike trailer, and I had already removed the old chain in anticipation of fitting the new one. Finally, I went to a bike shop that did sell the tool – but the mechanic said ‘of course that’s not how we fit them…’ My curiosity was aroused – could there be a simple solution? Sure – it just requires two hammers – one to brace behind the link, the other to pein it home. So how does it work in practice? With the chain guard removed and the axle nut loosened and the chain tensioners slackened off I lined up the chain on the rear sprocket (having already fed it over the front sprocket). Having found the amount of overlap (about ten links) I used a dremel-like tool with a grinding wheel to grind down the rivets on the crossover link, then used a chain breaker to drive out the pins. Now here’s the trick – I found that by then I had some grease on my hands and that when I fed the joining link through, I kept losing the side plate because it would stick to the grease on my hand. The answer was a small rubber band fed around the link to act as the third hand – one to support a small lump hammer behind the sprocket (an anvil) and a small ball-pein hammer in the other. I first drove the side plate on by peining in the centre of the plate with the ball end of the hammer. Then, once the rivet heads protruded, I peined the rivet heads until they expanded over the plate to hold it in place. Remember there will be no side force on the plate, so you just need enough to ensure the plate won’t come off. And within minutes I had the chain fitted and the bike ready to ride (after ensuring the wheel was straight and the chain had the correct play, and the axle tightened and a new split pin through the nut, and the chain guard re-fitted. And the tools? Two hammers and one chain breaker! For those who remember travelling on steam trains as a kid and are surfing the internet now – here is a project that combines the two! Turner art prize-winner Jeremy Deller and Alan Kane have set up a steam powered internet machine to bridge the gap between the steam age and the digital age. This appeared in an article in The Guardian and was uncovered in the Makezine blog.